Welcome to the Green Room Acting Studio. Over the last 10 years, we have helped aspiring talent all over the country pursue their dreams with great success. Through our long-standing relationships with modeling & talent agencies, we have helped talent of all ages become successful. We have worked with such talent such as Jake Short (Disney's Ant Farm), Kira Kosarin (Nickelodeon's The Thundermans), Ryan Newman (Zeke & Luther), Mitchel Musso (Hannah Montana, Pair of Kings), Cade Sutton (Disney's Kirby Buckets). You could be next! If you are a talent or parent of one who is serious about pursing a career in the talent industry, please contact us. We produce acting workshops around the country, plus offer skype coaching with our amazing instructors. At age 17, Greg discovered Amber Heard, while producing a project for ELLEgirl magazine. Amber is now starring in the movie Aquaman. Aquaman is produced by our good friends Zack & Deborah Snyder. In 2018, Forbes magazine estimated Amber's net worth at $9 million. Kira is currently starring as Phoebe on Nickelodeon's The Thundermans. Kira attended one of our LA acting camps and was then signed to a top LA agent. She moved out to LA right afterwards. Jake played "Fletcher" on Disney ANT Farm. He is pictured here with Olivia Osteen, niece of Pastor Joel Osteen. Chris is currently appearing on the NBC show New Amsterdam and NCIS New Orleans on CBS. Model / Actress Rachel Finninger has traveled the world pursing her modeling & acting career. Kimmy played "Rebecca" on Disney Dog with a Blog, Austin & Ally and is playing "Erica" in the film Colossal Youth. Cade played "Eli" on Disney's Kirby Buckets for three seasons totaling 59 episodes. Kailey is a athletic fitness model /actress who worked with Nike, Zappos and Reebok. Hello & thank you for subscribing. I have been a professional model & actress for over 25 years. Are you a talent or parent of a talent? What are your goals and dreams? Please review our website & learn more about who we are & our services. Also, please complete the SUBMIT TALENT profile, so we can learn more about you. Once we receive, we will call you. I look forward to helping you accomplish your dreams. Hello! If you wish to stay updated on upcoming classes, workshops, events and blog posts, then please feel free to join our newsletter to stay informed. You can subscribe via email and SMS text, if you wish. If you are interested in taking a FREE trial acting class, please complete the SUBMIT TALENT form, as well. 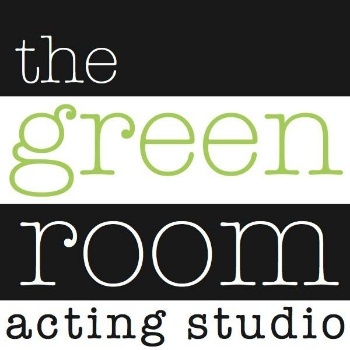 The Green Room Acting Studio is located in East Boca Raton, just North of Glades Road on Boca Raton Blvd. We hope you come check out our new location.